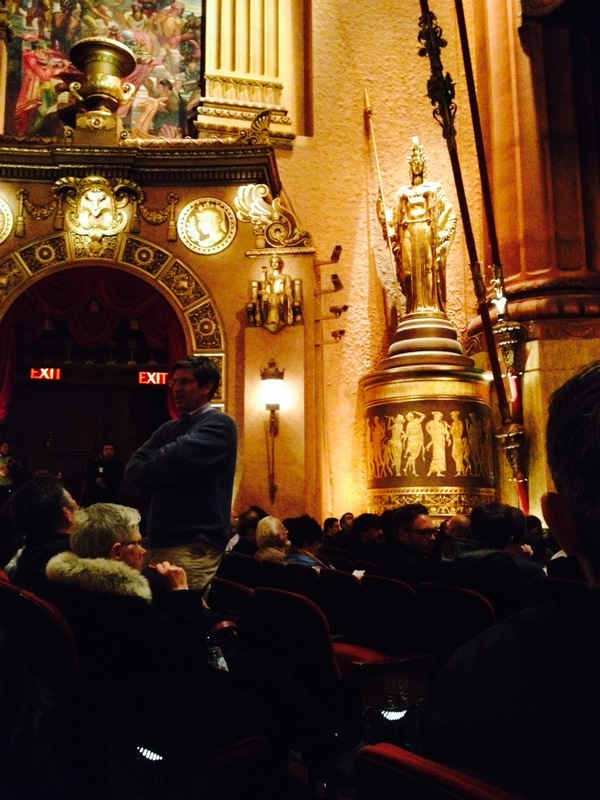 Something happened last night that I have to talk about — Apocalyptical, the RadioLab show at the Beacon Theatre. My husband Chris (John Christopher Jones) and his buddy Dan Moran and their artistic journey with their Parkinson’s Disease are featured in the last part of this brilliant three-part show. The music is rocking — so cool. The video images on the big screens are visually creative and stimulating. The factoids and banter are mind-blowing. The gi-normous puppets of dinosaurs carry such emotional heft. They are gorgeous and sad as dinosaurs are — or as we idealize them to be — knowing they will inevitably become extinct. And that is where, too, we find emotional weight in Chris and Dan’s segment. It is heavy and it is light. This part is not for the faint of heart. When my kids go to see it — at their December 2nd show — I’m seriously thinking we should have our pastor or find a therapist on hand to talk to the kids about the issues that the segment brings up. Namely, mortality. For that matter, I could’ve used a therapist or pastor last night! Fortunately, I had the exquisite RadioLab producer Andy Mills on hand to talk through some of what I heard, saw and felt. 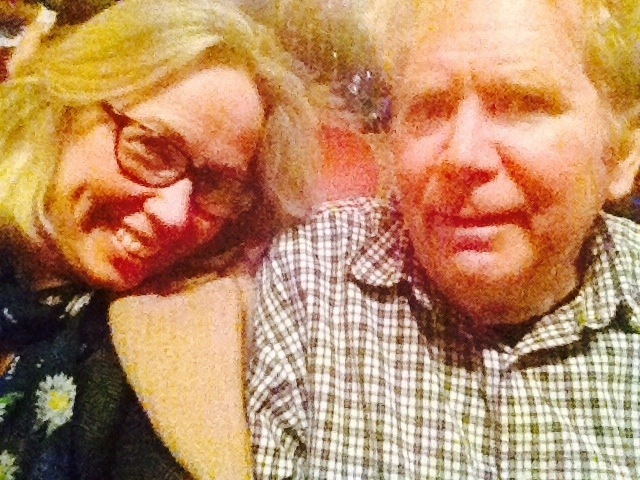 The dude is so good as a listener and kind soul and brilliant radio creator. Of course it was lovely to see Robert Krulwich too. He and Chris went to Riverdale Country School together. After the show, the two talked about how Riverdale taught them that everything is connected. And it is in making these connections that we find meaning. Jad (Abumrad) and Robert interviewed us all about year ago show they put together is about endings. The first bit is on how the dinosaurs ended through a pizza-oven type heat; the next bit is on PeptoBismal, and the infinite possibilities of the periodic table; and the third is on Chris and Dan. Jad and Robert talk about how they look straight into the vortex of the progression of their disease and then, what the hell, put on the Samuel Beckett play, Endgame. I have always thought of Chris and Dan’s performance of the Endgame and the Endgame Project, documentary as a testament to the power and tenacity of the artist. 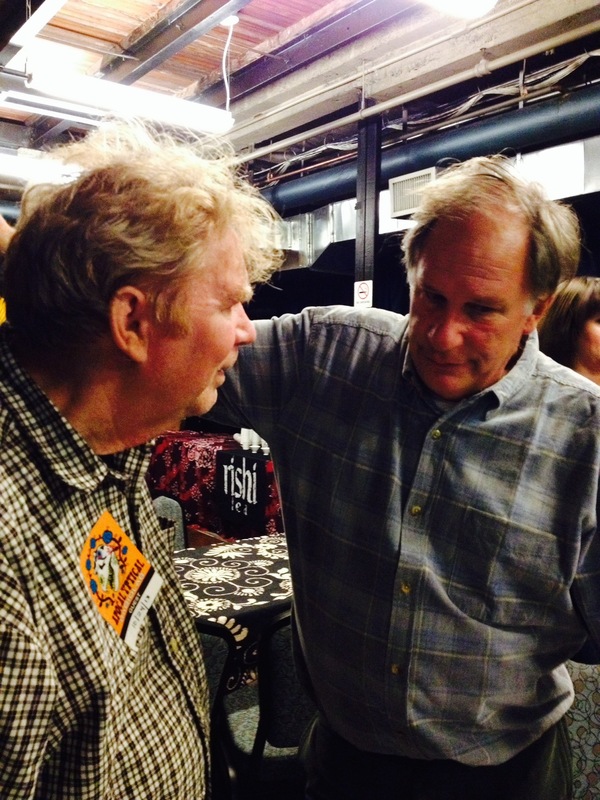 The movie and the play and the experience — shows that while Parkinson’s is slowly robbing Chris and Dan of their acting tools, they still have the chops. I was chatting with the band about this. Darin Gray said that one bit from Chris’s audio always gives him chills, even though he’s heard it a dozen times. Sweet. I have several blog posts I want to to finish over the next couple of days, plus a few freelance writing assignments I’ve got to plow through. 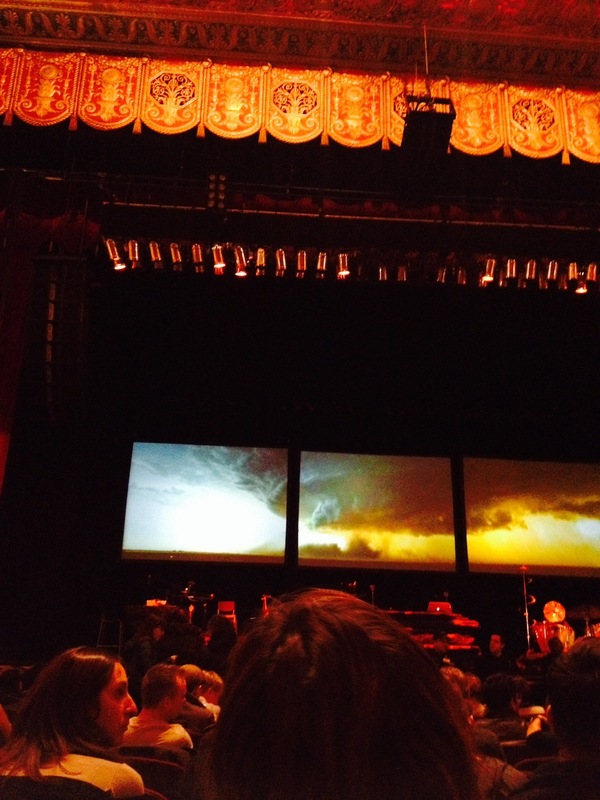 I want to post some new pics — but I had to tell you about RadioLab’s Apocalyptical today. I have no idea when this live show may be on the radio, but you should go see it in person. 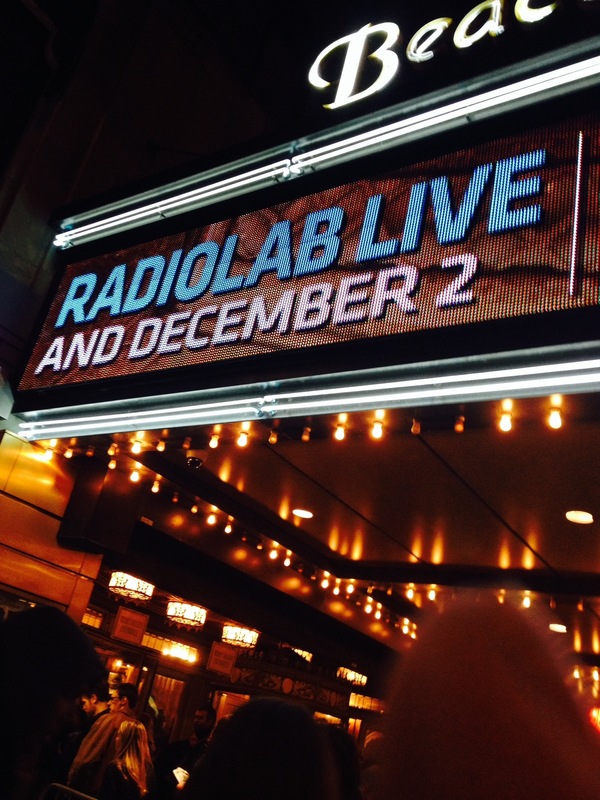 or check out the cities where you can catch RadioLab at: http://www.radiolab.org/live/ You may want to bring a therapist with you. Or a scientist or maybe a comedian or better yet, a radio producer, a musician or an artist. Or whatever — bring a friend or your spouse. 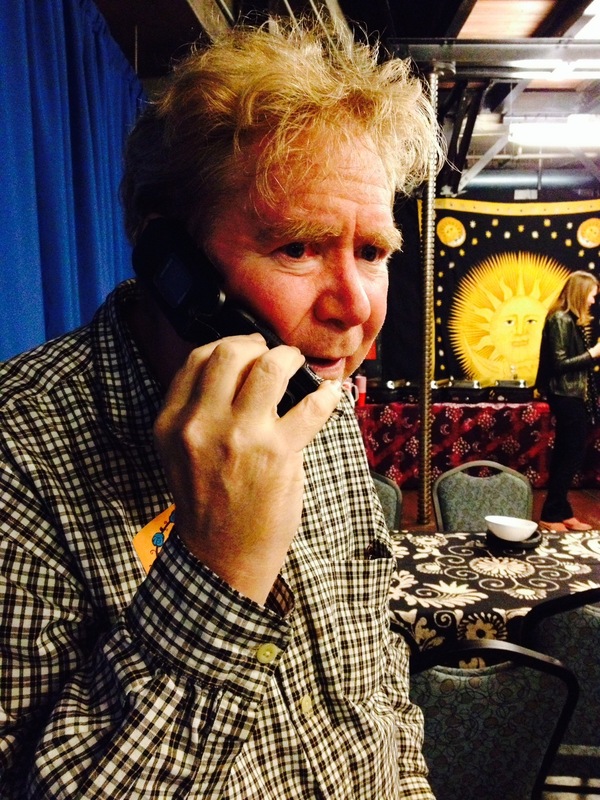 After the show Chris called Dan to tell him how terrific the show was. 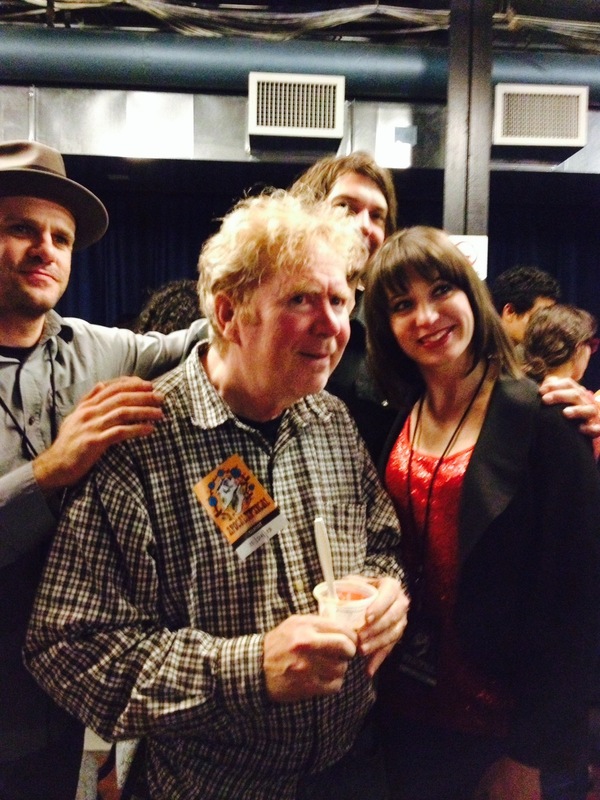 Chris with me and then, with the band and the lovely comedian Ophira Eisenberg. Reblogged this on Kellywawa's Blog.